2 beds2 + 1 bathsN/A sq. ft.
5 beds3 bathsN/A sq. ft.
2 beds1 + 1 bathsN/A sq. ft. There are a variety of property types to choose from when looking for real estate in Ottawa. There are 1,171 houses, 2 townhouses, and 385 condos for sale. For past listings, search our Ottawa sold listings and Ottawa expired listings The average listing price in Ottawa for all home types is $646,773, which is 33% higher than March 2018. The average list price differs significantly when broken down by home type. The average listing price of a house is $723,555, $264,900 for a townhouse, and $402,294 for a condo. There are many popular cities surrounding Ottawa, including Gatineau, Brockville, Cornwall, Kingston, Saint-Lazare, Vaudreuil-Dorion, Terrasse-Vaudreuil that offer a variety of home prices and unique areas to live. Ottawa also has many options for renters with 1,829 active rental listings and an average lease price of $2,803. Ottawa is home to 146 unique neighbourhoods. Popular neighbourhoods include West Carleton-March, with 164 active real estate listings, Carp, with 164 active real estate listings, and Dunrobin, with 164 active real estate listings. There are a variety of property types to choose from when looking for real estate in Ottawa. There are 1,157 houses, 0 townhouses, and 417 condos for sale. The average listing price in Ottawa for all home types is $531,027, which is 23% higher than January 2017. The average list price differs significantly when broken down by home type. The average listing price of a house is $554,435, $209,900 for a townhouse, and $340,368 for a condo. There are many popular cities surrounding Ottawa, including Gatineau, Brockville, Cornwall that offer a variety of home prices and unique areas to live. Ottawa also has many options for buyers with 1,796 active rental listings and an average lease price of $2,208. Ottawa is home to 146 unique neighbourhoods. Popular neighbourhoods include Cumberland, with 185 active real estate listings, West Carleton-March, with 147 active real estate listings, and Carp, with 147 active real estate listings. Residents of the City of Ottawa are expected to pay property taxes on all residences that they own. Property taxes can usually be found on each active Zoocasa listing, or can be looked up here. As of 2017, the estimated property tax residents can expect to pay is 1.07% per year. To see where your property tax payments go, see below for an example. 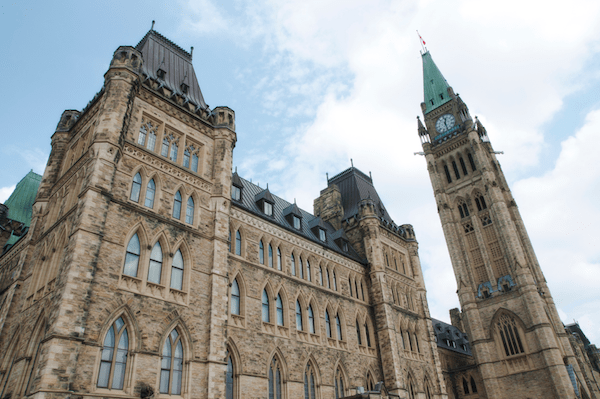 There is currently no municipal land transfer tax in effect in Ottawa but the provincial land transfer tax still applies to all property purchases. First-time home buyers in Ontario may quality for a provincial land transfer tax rebate of up to $4,000. The Ottawa Real Estate Board (OREB) was founded in 1919 and has over 3,000 registered real estate brokers across the Ottawa Area. OREB is members of the Ontario and Canadian Real Estate Associations. Located on the eastern border of Ontario, Ottawa is the capital city of Canada and is the fourth-largest city in the nation with just over 1 million people living within the metropolitan area. Ottawa has the most educated population among Canadian cities and is home to many research and cultural institutions. The current mayor of Ottawa is Jim Watson, who has been in office since 2011. Known for its picturesque views of parliament, Ottawa is also a cosmopolitan cultural centre, with a number of museums, galleries, performing arts festivals, yet it still maintains the feel of a small town. In 2017, MoneySense ranked Ottawa #1 in Canada’s best places to live due to its robust economy and transit system. Home to 934,243 residents, Ottawa’s population is made up of 24% visible minorities. Foreign immigration played a big role in the population growth of Ottawa as 23.4% of residents are foreign born. A majority of the minority groups are made up of Chinese and South Asians (7.9%). Over 65.4% of Ottawa’s residents belong to Christianity denominations, the most common being Roman Catholicism at 38.4%. The Ottawa-Carlton District Board is responsible for 117 elementary schools and 25 high schools in City of Ottawa. A notable and popular green space at the heart of downtown Ottawa is Confederation Park. Many of the city’s major events, such as Winterlude and the Ottawa International Jazz Festival, are held at Confederation park. On the north side of the Rideau River, one can find Brewer Park, a popular area for students from Carleton University. The centerpiece of Brewer Park is the arena, which is used for hockey games during the winter, and an outdoor pool for the summer. Lastly, close to the city’s Byward’s Market is Major’s Hill Park, one of Ottawa’s first parks. Here, one can get a spectacular view of Parliament Hill and the Ottawa River. The most iconic landmark in the capital city is, of course, Parliament Hill. Built in 1859 on the southern banks of Ottawa River, Parliament Hill is the home to the Parliament of Canada. Its Gothic revival suite of buildings attracts over 3 million tourists annually. In 1976, Parliament Hill was designated as a National Historic Site of Canada. It was originally the site of a military base in the early 19th centuries and development of the governmental buildings began in 1859. The biggest retail mall in Ottawa is the Rideau Centre located in ByWard Market, and includes major retail stores such as Hudson’s Bay, Nordstrom, Apple, Zara, and Sport Chek. Another notable major retail mall is Bayshore Shopping Centre. West of the city centre, it is located in the Bayshore area and offers a similar shopping experience to Rideau Centre. ByWard Market is one of the most famous districts for shopping and dining in Ottawa. 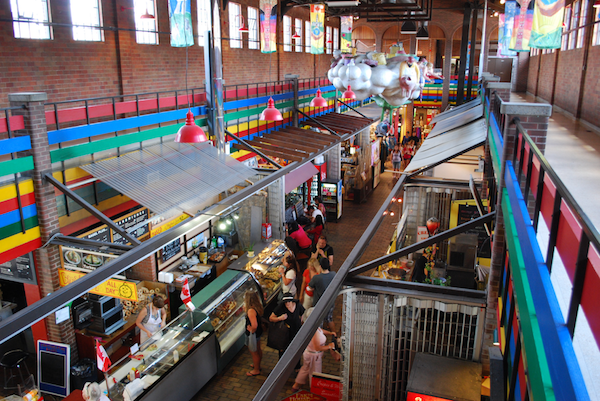 Setup like an outdoor public market, ByWard district offers a variety of speciality restaurants and bars. Sparks Street is an open-air pedestrian street, Canada’s oldest, just one block from Parliament here. Sparks Street is Ottawa’s must-see heritage district with plenty of shops to explore. The Senators is Ottawa’s professional NHL team, which plays at the Canadian Tire Centre. The original Senators were founded in 1883 and won 11 Stanley Cups between 1917-1934. The current Senators were founded in 1992 and have qualified for 15 of the past 19 seasons it has been in the NHL. So far, the new franchise has not won a Stanley Cup but it has been to one conference finals in the 2006-07 season. The Redblacks is Ottawa’s professional football team that plays in the CFL. Their home field currently is the TD Place Stadium and the team has won one Grey Cup since inception in 2010. The Redblacks won the 2016 Grey Cup Championship, ending the 40-year drought for the City of Ottawa. Currently, there are no formal regulations controlling the short-term rental market in Ottawa. In July 2017, the city council approved a motion to prompt bylaw reviews that may lead to an eventual regulation of the short-term rental market. This was brought on by complaints received from a group of residents living near an Airbnb listing in Hunt Club Park. Ottawa is most likely going to follow in the footsteps of the Airbnb Regulation in Toronto that was recently passed in December of 2017. The Ottawa Rapid transit is the public transport system that serves the city. Operated by OC Transpo, it consists of bus rapid transit (BRT) and light rail transit (LRT). Currently, there is only one line on Ottawa’s light rail transit system, the O-train. The Trillium line has been in service since October 2001 and serves 5 stations from Bayview to Greenboro. The O-train runs from 6:00AM until 12:00AM on weekdays and Saturdays and 7:30AM to 11:00PM on Sundays. A seven-station expansion of the Trillium line is expected to open in 2023. The new Confederation line, which runs east to west, is a new 13-station O-train line route that is currently under construction and will be opened in the summer of 2018. On the streets of Ottawa, the OC Transpo buses runs 24 hours a day 7 days a week servicing areas that are not reached by the O-train. They operate on a network of transitways that are dedicated bus lanes. The cost per trip on the OC Transpo system is $3.50 for adults, $2.65 for seniors, and $1.80 for children. A monthly Metropass can be purchased for $116.50 for adults. E-Purse, ParaPay and Presto passes can be used at all stations across the network. YOW is located in the southern part of Ottawa, and just a 20-minute drive from the city centre. It is Ontario’s second busiest airport with over 4 million passengers annually. 14 airlines serve YOW airport with destinations primarily focused on cities in Canada, US and Mexico. There are currently no direct flights from YOW to Asia and Europe. The most popular taxi company that operates in Ottawa is Capital Taxi. Their orange cabs can be seen roaming the streets of downtown Ottawa. Taxis can be hailed on the street or booked in advance for pickups. Like most major cities, Uber is a popular alternative to taxis. Uber launched in Ottawa in 2014 with the UberX service. Since then it has launched various other products like XL, and Assist. Uber is considered a significantly cheaper alternative to riding in taxis while providing high level of convenience. The 400-series highways are the major highways that connect Ottawa to the rest of Ontario. The two 400-series highways that run through Ottawa include 417 (also known as the Queensway) and 416. Some other notable highways in Ottawa include highway 174,7,16, and 31. Most people travelling by car from Toronto elect to take the 401 and 416. There are currently five general care hospitals and six specialized care hospitals in Ottawa. Hospitals like Children’s Hospitals of Eastern Ontario (CHEO) focus on pediatric care and treatment. The Ottawa Hospital is the general hospital in Ottawa is a popular choice among most patients. Other notable hospitals include Montfort Hospital, National Defence Medical Centre, and Queensway-Carleton Hospital.